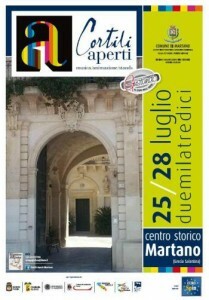 Literally translated as “open courtyards and tasting – food with art”, this four-day event in the historic centre of the town of Martano attracts visitors from far and wide. There are all kinds of events on offer in the piazzas, courtyards and palazzos of the town, from food and wine tasting to theatrical events, blues and folk music to educational workshops. Not to be missed for a genuine taste of local colour and culture.